Heroin addicts don't have to be at such risk. 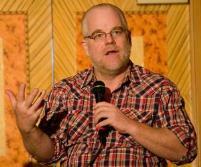 The death of Phillip Seymour Hoffman has focused a media spotlight on heroin overdoses. There are better ways to deal with heroin than the current one, if there is the will. In a critical ruling, the Michigan Supreme Court has blocked localities from banning medical marijuana-related activities that are allowed under the state's Medical Marihuana Act. Lots of action at the state house on medical marijuana this week, plus Arizona eases up on the rules and the Michigan Supreme Court hands down a bellwether decision in favor of patients. In a highly unusual move, and one that should be a heads-up call for aggressive law enforcement, a Texas grand jury has declined to indict a man for murder who killed a sheriff's deputy during a pre-dawn, no-knock drug raid. A felonious foursome of public servants made the hall of shame this week. A slight majority in Rhode Island say legalize it, CBD medical marijuana bills are popping up in several states, Uruguay's marijuana-legalizing president gets a Nobel Peace Prize nomination, and more. Marijuana and medical marijuana dominate the drug policy news again today, the Maryland Senate votes to ban Everclear, meth and prescription pills continue to draw legislative attention, and Schapelle Corby will soon be freed from an Indonesian jail, and more. State legislatures are busy with drug policy issues, particularly marijuana and medical marijuana, a Texas grand jury refuses to indict a man who killed a cop in a no-knock drug raid, Mexican vigilantes are duking it out with the Knights Templar in Michoacan, and more. California's narcs are whining about Obama's marijuana remarks, Coloradans seem happy with legalization, a Good Samaritan overdose bill is filed in Maryland, an Israeli newspaper talks pot policy, and a Colombian FARC representative lays out the guerrilla's drug proposals, and more. Overdose prevention is big news today as the drug czar chimes in in favor, more than a dozen congressmen call on Obama to re- or de-schedule marijuana, the Italian Supreme Court undoes a bad drug law, and more.